Predictably great. Dell’s 2014 refresh of its critically-acclaimed XPS 13 brings with it a conservative selection of evolutionary enhancements, not least of which is the option of an included touchscreen. But can it still stand with the latest and greatest ultraportables? The XPS is comfortable to use and great to look at. However, it's more expensive than many similarly sized and specified rivals, such as the 13-inch MacBook Air, which admittedly doesn't have such a good display, and the Best Buy winning Asus Zenbook UX302, which certainly does. The Dell XPS 13 Touch is a great laptop for users who find themselves constantly having to get work done on the go. Its compact chassis means you'll be able to prop it on your airplane seat tray without worrying that the screen will get crushed if the person seated in front of you decides to recline their seat, and its 9.5-hour battery life should be able to take you from takeoff to landing. However, the Samsung ATIV Book 9 Plus holds on to its Editors' Choice award for premium ultrabooks; it has better connectivity options (e.g. an Ethernet port, an HDMI port, and an SD card slot), not to mention a higher-resolution screen. Just like its predecessor the Dell XPS 13 captures what an Ultrabook should be: speed, style and sophistication all wrapped into a light and portable package. But now with the power of touch (whether you use it or not) and a Intel Haswell securing improved battery life the 2014 model is a step better than its predecessors. Can't say better than that. We reviewed the original version of Dell's 13.3-inch ultrabook back in March 2012 and found it to be a solidly built, strong-performing paragon in its class. 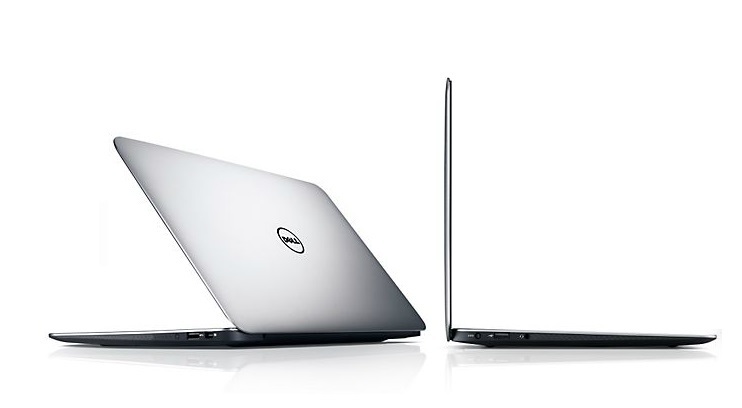 Third time really is the charm with Dell's latest rev of the XPS 13 ultrabook. Impeccably built with performance and comfort to match, its $1,299 price is plenty fair for today's market. Dell may not have reinvented the wheel with the new XPS 13, but it has taken a great notebook and made it only better. The curvaceous well-built design and spacious keyboard are still just as alluring as they were last year, and the upgraded specs and features reinvigorate the device to compete against even the most promising ultrabooks on the market. The Dell XPS 13 still isn’t perfect. The lack of connectivity (namely a SD card reader) may be discouraging for some (especially business users), but this small issue does little to mar the overall package. The boost in performance and added touch capabilities in conjunction with the laptops stellar design help make the XPS 13 a top-tier ultrabook. 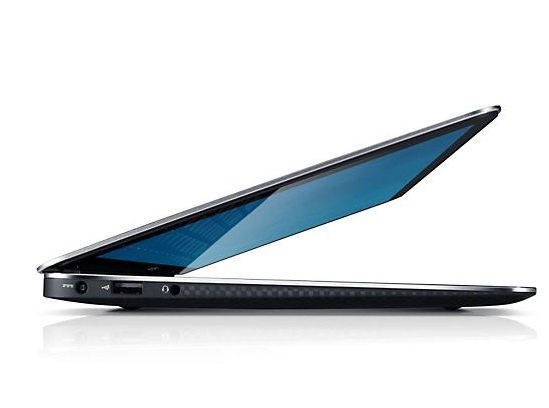 Dell aims to give users a premium mobile experience with the company’s XPS line of laptops. All in all, Dell’s high-end XPS 13 looks great, performs exceptionally well, and has the ability to last for a very long time without being tethered to the wall. Although it can be little pricey in the top configuration, you definitely get a premium experience in exchange for what you pay for. The XPS 13 is thin and tough. When I shove it into my carry-on, I forget it’s there until I need it. I don’t feel it, and I don’t worry about it. The only downsides: I’m casting around for a wall socket more often than I’d like, and its dearth of slots and ports drag it down a wee bit. And if you give a lot of presentations, need hard-wired ethernet, or carry a lot of files, you’ll need to load up on dongles and a USB drive. But on the whole, it’s a terrific little machine. Despite its age, the Dell XPS 13 remains one of the most attractive Ultrabooks on the market. The system’s carbon-fiber chassis, extremely thin bezels and elegant appearance combine to create an aesthetic that can easily compete with Apple’s MacBook Pro, and puts alternatives like the Toshiba Kirabook and Acer Travelmate P645 to shame. The latest XPS 13 improves upon last year's model in a number of ways, packing a beefier processor, touch-ready display and solid battery life, while keeping the sleek and slim build we loved. This ultraportable delivers solid performance for work and play, and the bright 1080p screen will satisfy your entertainment needs. To give credit where it is due, Dell corrected the main issue we had with the last version of the XPS 13. It's still on the expensive side of what this particular set of components should cost, but keep in mind the aluminum/carbon fiber body is excellent, and the actual footprint is noticeably smaller than other 13-inch laptops. Dell's XPS 13 features aluminium and carbon fibre construction, and is blessed with looks that are appealling. It has some tiny drawbacks, in our opinion, but should nevertheless be considered if you're after an Ultrabook that has good build quality, fast performance, and long battery life. 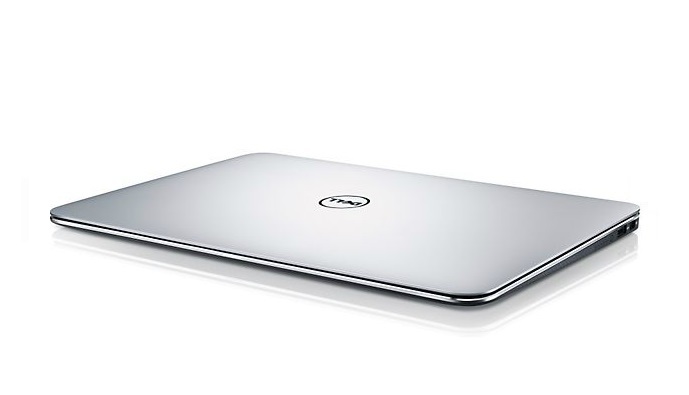 The Dell XPS 13-9333 is a performance ultrabook aimed at the highest demanding user on a big budget. 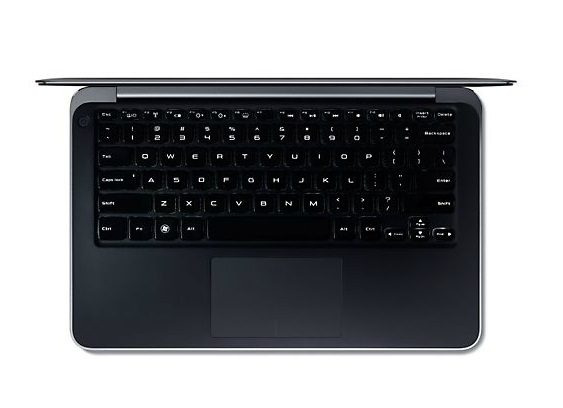 The laptop comes with a stylish design with sleek lines and curved edges almost looking like jewellery. The profile is super slim and the entire package weighs less than 1.36 kg, justifying the ultrabook stamp. Build quality is impressive with machine cut aluminium and a carbon fiber base, which makes for comfortable lap placement due to reduced heat radiation. The full-sizeed island-style keyboard has a good tactile feedback and features a backlight. The 13.3 inch LED touchscreen uses Trulife technology and is protected with Corning Gorilla Glass NBT, which ensures scratch resistance. Hardware includes a 4th generation Intel Core i7-4510U processor with TurboBoost up to 3.1 GHz, 8 GB dual channel DDR3L RAM, Intel HD Graphics 4400 and a 256 GB mSATA SSD. Other technology includes an Intel Dual Band Wireless-AC + Bluetooth 4.0, a widescreen HD webcam, 2 USB 3.0 ports and a mini display port. The audio quality is good with stereo speakers powered by Waves MaxxAudio technology. 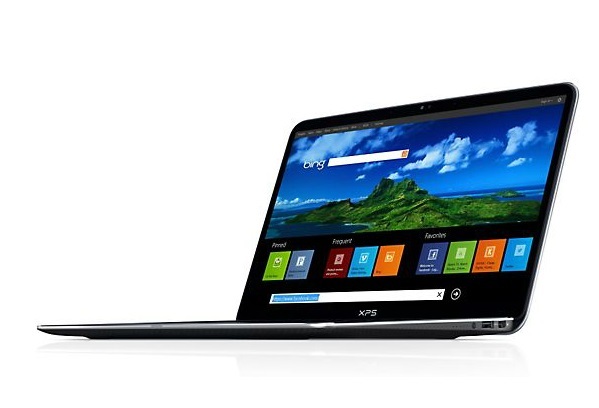 The Dell XPS 13-9333 comes with Windows 8.1 64-bit OS, which makes especially the touchscreen model a compact setup. 82.17%: This rating should be considered to be average. This is because the proportion of notebooks which have a higher rating is approximately equal to the proportion which have a lower rating.